Books and reference Archives | Androidability | Android tips, tricks, and technology for better ability. 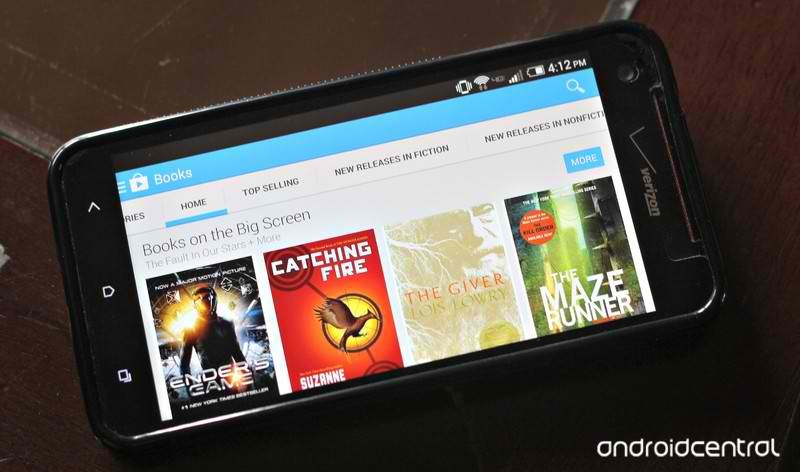 Google Play Books can make any Android device a great eReader, but how do you use it? Sure, Kindles and Nooks have (relatively) long been forces to reckon with in the digital book arena, but Google Play Books allows you to enjoy your favorite page turners on so many more Android devices. But how to get started? How do you buy and add books to your library? How do you even go about reading the darn books on the device? It’s not anything too crazy, we promise. Read on to find out the answers to these and other burning questions you may have. Before you can do anything else, you have to make sure you have Google Play Books on your device. Chances are, it’s already installed on it (it’s on mine as “Play Books”). If it’s not preinstalled, go ahead anddownload it here. 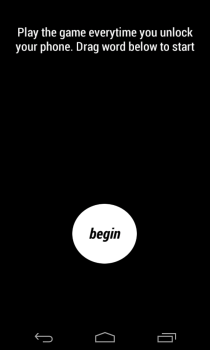 When you first start up Google Play Books, you’ll see something like this on your screen. Go ahead and hit “Shop books” to get the ball rolling. Pick which payment method you’d like to use. Your options may vary, but you should at least have the options of using a credit or debit card or PayPal. Proceed to follow the onscreen directions. If you choose to use a credit card, it will go through Google Wallet. Now that you’ve had some experience with Google Play Books, your home screen will be a little different. You may actually have a book or two displaying there now! If you see the three parallel lines (or “hamburger menu”) in the upper left-hand corner next to “Read Now,” select that or swipe to the right from the left side of the screen to get some recommendations from Google. You may see more free books offered in Google Play Books. If you’re interested, you can select the book and “Add to library.” It’ll take you to a confirmation screen that may look familiar. Select “Buy” and it’ll download, but not charge you. If you would like to buy something that does actually cost money, select the book and select “Buy.” It’ll take you to the confirmation screen. If you select “Buy” again, you will be charged and the book will download. If there’s a specific book you’d like to buy, you can use the magnifying glass found in the upper right-hand corner in the screens pictured above or from the main menu of Google Play Books. Type in the title of the book and go from there. Having a richer vocabulary of words in your arsenal is one of the most effective ways to improve your speaking and writing skills, but there are so many words in English that it sometimes get really difficult to know where to begin. A few Google queries may return various online resources to nourish your vocabulary, and while it does work if you opt for the proper techniques, there are a number of smartphone apps now that can help you accomplish the same. If you want to learn a new word everytime you pick up your Android then GRE Vocab Lock is worth giving a shot. It acts as a secondary lock screen for your device and lets you learn a new word every time you unlock it. It houses a comprehensive built in dictionary for Graduate Record Examination (GRE) and SAT students, but is just as helpful for anyone who wants to learn new English words with ease. The simple interface of GRE Vocab Lock is indeed not very impressive but it works as it should. After launch, GRE begins running in the background, and only pops up when you unlock your phone. The working of this app is as simple as the UI it boasts – after unlocking, it presents a word along with two possible synonyms one of which is the correct answer and all you need is slide the word onto the right one. Android and iOS have many things in common. However, one thing that iOS users sometimes miss is their on-screen dictionary. iPhone users – particularly iPhone users who don’t speak English as a first language – love this feature, as was discussed in this post. It’s a great way to quickly identify a word on a website, text, or email without having to switch to another app. Many people don’t use the pop-up dictionary, but those who do use it a lot. Today, I’m going to show you that switching to Android doesn’t mean giving up your pop-up dictionary. Here’s how to easily add a pop-up dictionary to your Android device. Step 3) Press the Share button and choose WordLookup from the menu that pops up. If your Android is truly a smartphone, then it will display WordLookup first. Step 4) WordLookup will pop up the definition on your screen. That definition will automatically disappear after a few seconds, although you can adjust the specific length of time from the app’s settings menu. If you’re familiar with the iOS pop-up dictionary, you may wonder why the same functionality isn’t built into Android. On iOS, you can select words in most apps, and easily access their definition. Step 1: Grab a copy of WordLookup for your Android device. Step 2: When you come across a word you want to lookup, press and hold to highlight it. Step 3: Next, press the share button on your Android and choose WordLookup (it will probably be first, as opposed to alphabetical with the w’s). The award-winning children’s enhanced ebook creators at zuuka’s iStorytime have announced that their complete catalog of titles, many of which are adaptations of some of the most beloved current children’s films, are finally available for Android-powered smartphones and tablets. Formerly only available for iOS devices, this catalog includes favorites like Shrek, Madagascar, Rise of the Guardians, and many more, along with some of its in-house children’s titles. Apart from innovative work in children’s digital publishing by incorporating optional read-aloud narration, easy swipe for small fingers, and bonus content to hold young readers’ interest, zuuka has also won awards for its various purchasing and reading models. Parents can subscribe to the entire iStoryTime catalog of titles, can preview and purchase individual titles within their app, or can even earn free titles by interacting with option sponsor-delivered content. The iStoryTime app for Android is now available for free through the Google Play and Amazon App stores, and for a limited time users who found the news on this article can have up to five free popular titles from Dreamworks and iStoryTime. Simply download the free iStorytime app and open the Rise of the Guardians title, then enter the code ANDROIDLAUNCH under the “enter story code” link. Lift, an app that lets you pick from predefined personal goals which you want to transform into habits, has finally landed on the Android platform more than a year after an iPhone app was launched. 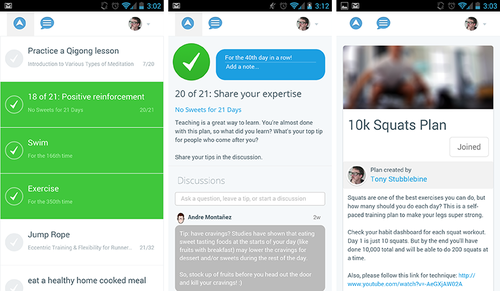 The team behind Lift announced in a blog post that the Android version, available for both smartphones and tablets, is a fully functional version of Lift replete with coaching plans, simple goal tracking, community support, and reminders via push notifications. In June, Lift launched a new Web app that scales across multiple platforms — including desktops and devices like Android and Windows phones – with a responsive design.